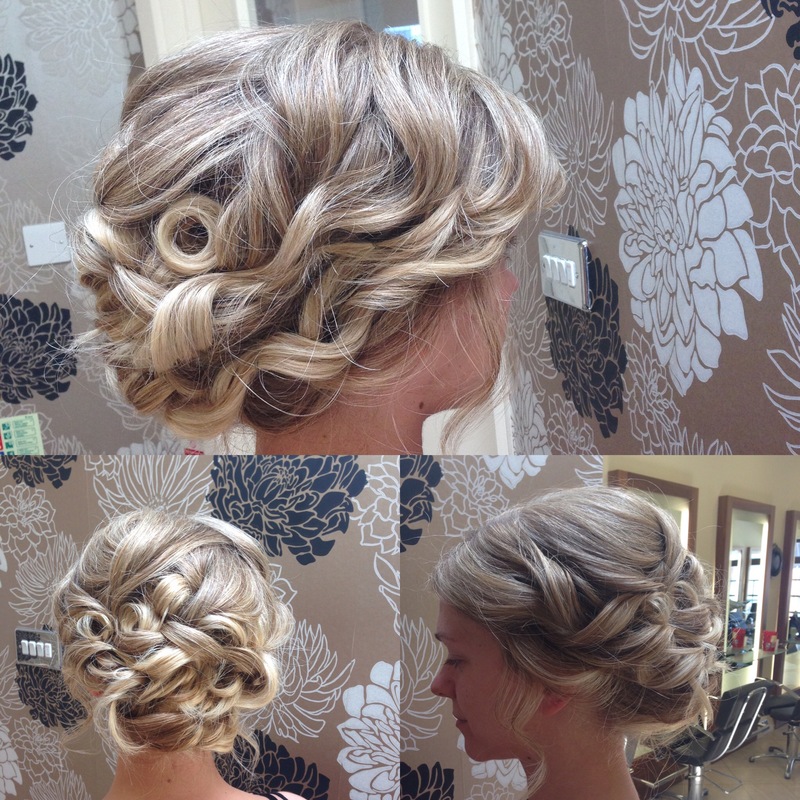 If there is one day, more than any other, that your hair has to be perfect it is your wedding day. Meet Lisa Sheldon, the Wedding Hair expert at The Cutting Garden. Many brides feel that getting their hair styled correctly in the morning can set the whole day along the right path. The trouble is, the wedding day is also probably the most stressful day you’ve ever had to deal with. Constant interruptions, last minute problems, and wardrobe emergencies can make a bride-to-be more than a little frazzled. That’s the scene that often greets our Lisa when she arrives. Luckily for the new brides, Lisa’s seen it all before and knows exactly how to handle it. Mum needs to have her hair done first? No problem. Flower girls needs her hair sorted out after crawling under the sofa? No problem. Lisa’s calm, confident manner seems to make problems and stresses dissolve. 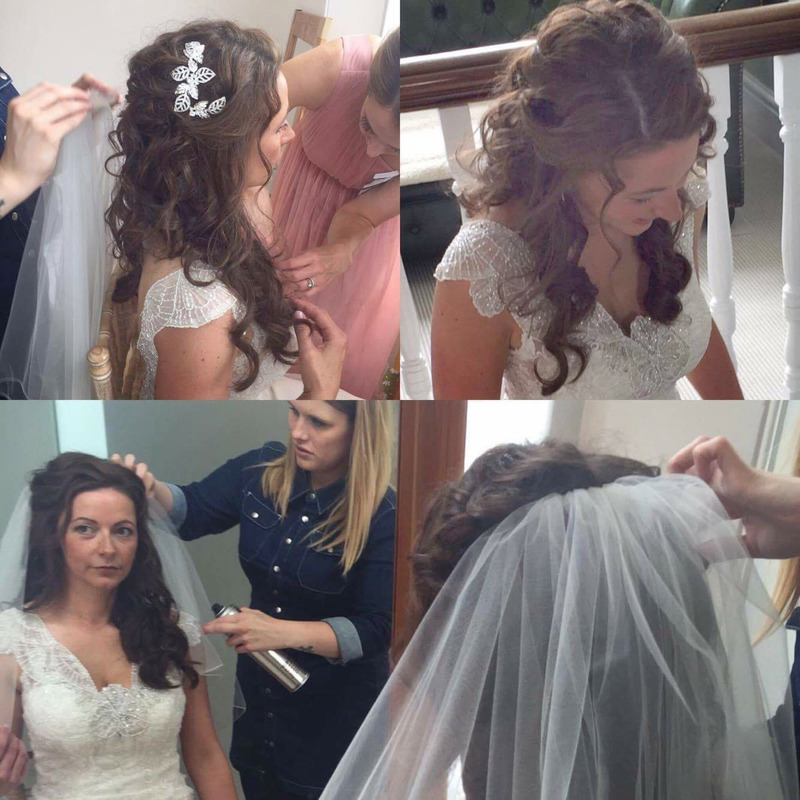 Over ten years of helping brides look incredible on their special day mean she’s seen and dealt with most issues. 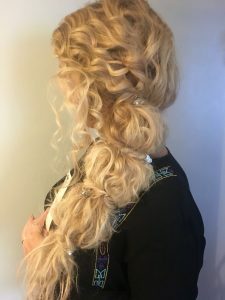 Her experience and skills have often transformed what could be a stressed, upset client into a happy bride-to-be who knows she looks exactly as she dreamed she would on her wedding day. 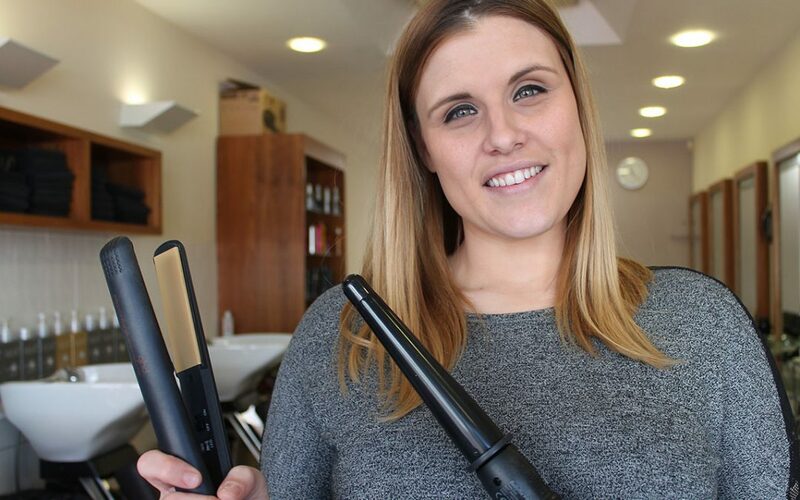 “Seeing them on the day when they realise they look amazing from head to toe is the best part of my job” says Lisa. One thing in common at all the weddings that Lisa has been a part of? 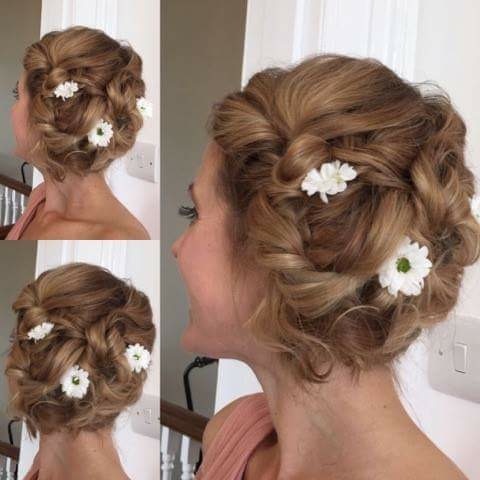 It all begins with an appointment for a hair trial, usually booked through the Cutting Garden online booking system or over the phone (01752 223233 in case you were wondering). 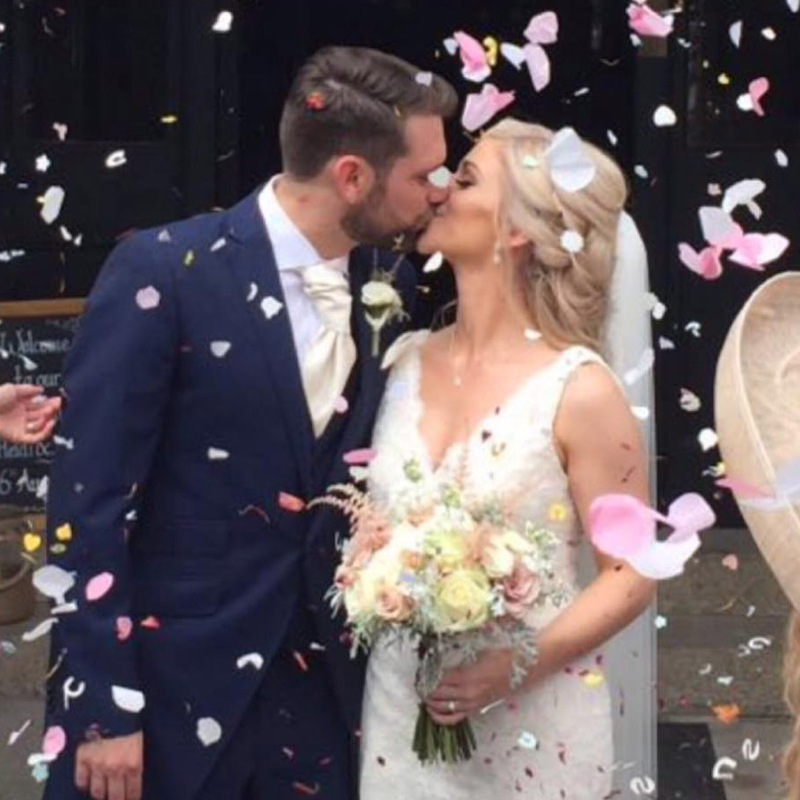 Most brides only need one appointment as you get two hours of Lisa’s time totally devoted to helping you find the perfect look for your perfect day. In that time, you can try out as many as two or three different looks, but if you need a second session, Lisa is more than happy to oblige. Inevitably, some brides may ask for styles that may not suit them perfectly. 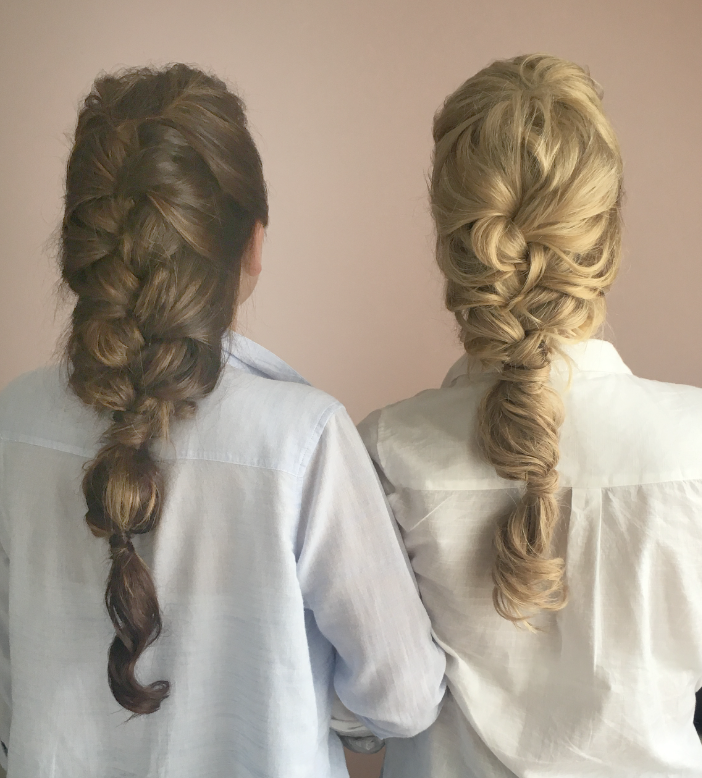 In those cases, Lisa works with the bride to show them styles that might work better. If you normally wear your hair down and feel good that way, consider having it down on your wedding day. 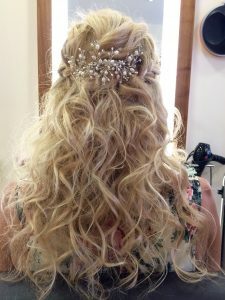 It’s most important to feel good on your wedding day, and you will want to enjoy creating memories, rather than worrying about whether your hairstyle has come loose. 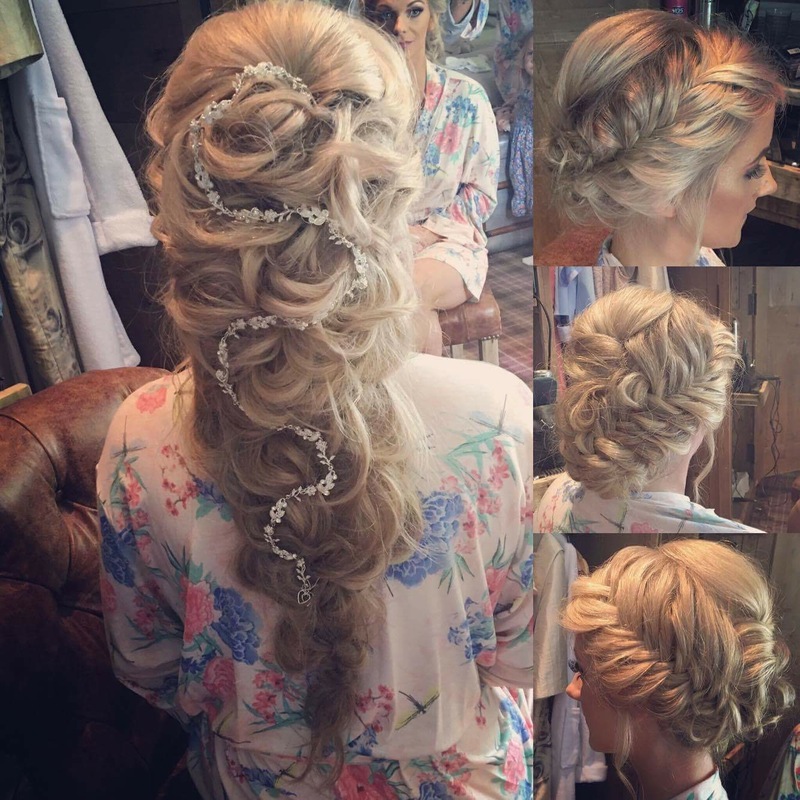 Like all things, wedding hair has it’s trends. 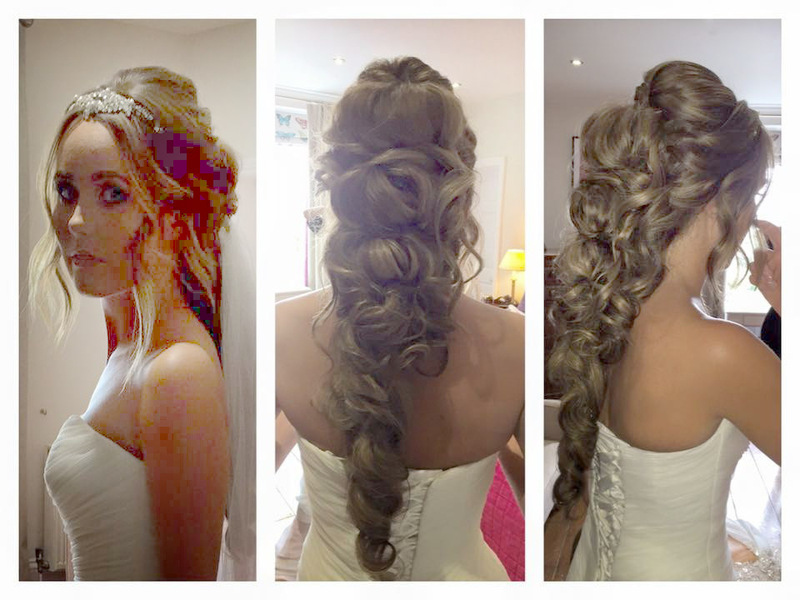 The classic highly sculpted look with finger lining, tiara and extensions is always very popular and probably always will be. However, Lisa has noticed an increasing move toward looser, boho styles with hair down. These brides tend not to have tiaras, but will accessorise with a wider ranges of items. It’s more of a beach style approach, says Lisa. 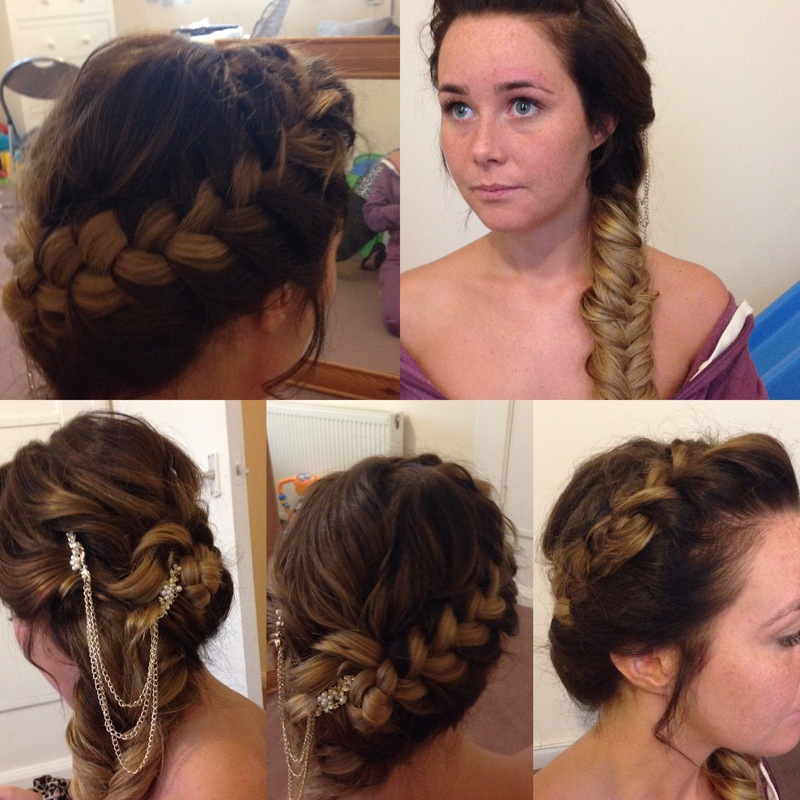 In the end, of course, your wedding hair style is dictated by your personality and lifestyle. Lisa is here to help you find the perfect look for this most special day. If you are getting married soon, book your trial with Lisa and she’ll help you. On the wedding day, she’ll turn up early, help to keep things on track and probably even help you zip up your dress or find that mislaid tiara. And in years to come, when you’re both looking through the photos in your wedding album with your kids, you can tell them who that lady at the back waving scissors and beaming brightly is. Some photos of Lisa’s work.